Historian and expert on the Norwegian-Russian relationship, Lars Rowe at FNI, was one the keynote speakers at a recent debate on these issues in Tromsø. The debate was hosted by the podcast Du Verden! together with the United Nations Association in Tromsø and “Internasjonalt Seminar”. The overarching questions were: Can we talk with Russia? 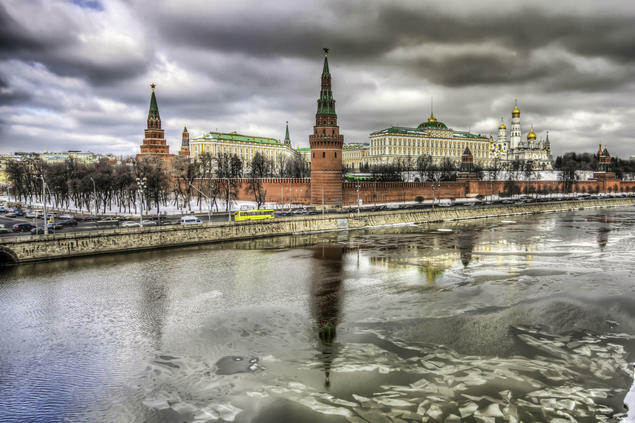 Are Russian-Norwegian relations in a state of crisis? "No, I don’t think that Russian-Norwegian relations are in a state of crisis. Rather, I think we are about to put a critical period behind us. Yes, we can talk to the Russians - but we have to do a much better job at trying to understand them,” Rowe said. He noted that the 1990s in Russia - a time when the country was finally open for diplomacy, reform and cooperation with the outside world - a time when “anything was possible” – were in many respects an exception or a deviation in Russian history. What has happened since the 2000s and onwards, under Putin’s regime, are in many ways a reaction to this – a reversal of the liberalisation that took place during Jeltsin’s reign and, perhaps most notably, a significant centralisation of power. "Historically, you could say that we are now returning to a state of normalcy. What we are seeing now is to be expected when we take the longer lines into consideration,” Rowe said. Historian Kari Aga Myklebost at the University of Tromsø and journalist Amund Trellevik at the Barents Press were also in the panel. Together with Rowe, they touched upon such timely and controversial issues as the much disputed building of a border fence at Storskog, the Crimea annexation and the increasingly confrontational political rhetoric in Norwegian-Russian relations. “As so many times before in history, we are now seeing an increased “fear of Russia”, both in the media and in the public debate,” Myklebost noted. The debate has resulted in a podcast episode from Du Verden!. You can download the podcast and hear the debate in its entirety here.